Oprah has been with Stedman Graham for 26 years but recently she gave some reasons why she did not marry him and probably never will. When asked by Access Hollywwod if she would leave earth as a “never-married” woman, Oprah said, “Yeah, I think that’s my final answer.” She added that the issue of getting married came up again when her good friend Tina Turner got married last couple of months. Oprah admits if she and Stedman had got married, they probably wouldn’t have lasted. 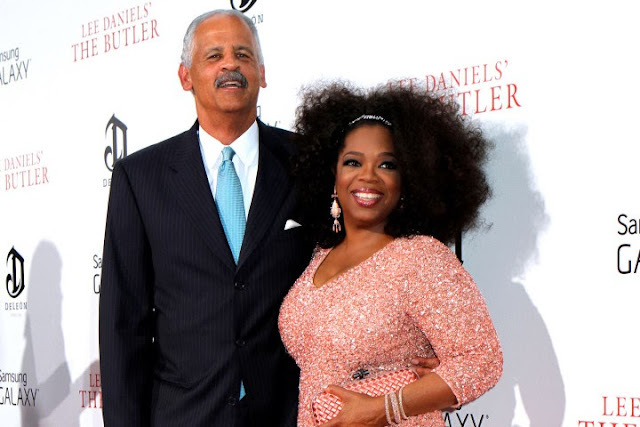 According to Oprah, her relationship with Stedman is so unusual it wouldn’t have fit within the confines of such a union. Oprah goes on to explain that she couldn’t be a wife because the word holds responsibilities she doesn’t feel capable of handling. Truthfully, everything changes when people get married, the best boyfriends can changes, as do the best girlfriends. And most times, according to their partners who now have to deal with a seemingly new person and new set of rules, it's not for the better. What do you think of Oprah's comments about the responsibilities and expectations from a wife based on that title and marriage alone? How has your own experience of marriage and becoming a wife been? Are you a traditional or non-traditional wife? What is a wife and what does a wife do? Oprah did not specify what her expectation of a traditional wife is so it is difficult to evaluate what she said. Other than when she mentioned that as a wife you have to come home I don't know what else she was referring to. Does it mean that right now she and Stedman to whatever they like, free to be with whoever they want to be with and then come together when they both feel that they have to be together|? What are traditional wife duties anyway? Is it cooking, cleaning and making the house homely which these days a nanny can be employed to do? Perhaps if Oprah had expanded a little bit it would have made the debate richer. Maybe I'd consider being celibate too when I get to her level. Hi friends, its impressive piece of writing about cultureand entirely defined, keep it up all the time. I am completely with Oprah on this one. I think people need to start being true to themselves and not look into the next relationship. One thing is certain, Every one want to be in a 'loving and beautiful relationship' however that is defined by them. The Marriage aspect is a beautiful thing when it works but can be extremely ugly for those who got in with the unclear priorities, goals and expectations. So, with that I say she is right as she is doing what is best for "Oprah" and I believe what also seems to be working for Stedman. аnd desсribing everything concernіng thаt. It's always helpful to read articles from other writers and use a little something from their web sites.